Everyone wants to be able to trust their doctor, but one does not need to look very hard to find news reports of health care providers accused of medical malpractice due to negligent care. 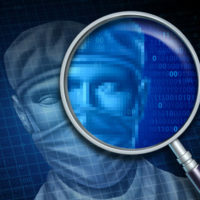 State medical boards are charged with taking action against physicians that endanger a patient’s safety or health, but many states do not utilize the database tools available through the federal government and the national medical board association to monitor adverse reports filed against doctors anywhere in the country. As reported in the Milwaukee Journal Sentinel recently, most states vastly under-utilize these databases, Florida being one of two exceptions to this policy, and potentially risk patient lives as a result. However, patients are best served by taking the time to investigate a doctor’s record themselves, and a discussion of useful sources to obtain information on Florida doctors will follow below. Checking the Florida Board of Medicine is the first step in learning more about a doctor’s history and gathering information that will be useful on other sites. All doctors are required to be registered with the Board, and putting in a doctor’s name will reveal if he/she has a valid license, if it was ever suspended, and the reason why. Additionally, complaints may also be filed here. Another simple, and perhaps overlooked, resource is to plug-in a doctor’s name and the words “malpractice claim” into an online search to see if anything comes up. This technique could potentially reveal if the doctor was ever sued or investigated in another state, or named in a malpractice suit at a hospital with which the doctor was affiliated. Doctors who have been disciplined, and want to avoid sanctions imposed by a state medical board often move and set up a practice in another state. This tactic is successful because many states do not look for complaints filed elsewhere, but the Federation of State Medical Boards has an online database that lists any disciplinary proceedings, including those unrelated to malpractice, reported in any state. This valuable resource can supplement information found with the Florida Board of Medicine, so a potential or current patient can verify the existence of problematic incidents from the past. The Florida Department of Health is another source of information, and publicizes claims made against doctors within 10 days It also lists whether a doctor has a valid license, and includes education and training, though the physician profile is written by the doctor him/herself, so its value is limited. However, negative information may still be found here, and is worth a look. Medical malpractice lawsuits are filed in the states in which the doctor was licensed, and where the incident occurred. County clerks of court have records of all lawsuits filed, and should have electronic databases the public can search. The database would show if the doctor was a defendant in a civil lawsuit or faced criminal charges. Note, however, the database will be limited to suits filled within the applicable county, and will not list claims filed in other counties or states. Further, any litigation discovered may be unrelated to the doctor’s professional practice, and should be used with caution. Finally, Florida Department of Financial Services will list all malpractice claims paid by an insurance company on behalf of doctors and hospitals. Most states do not make this information open to the public, so it can be hard to find all relevant records, and important information is not included, such as pending malpractice claims and claims paid by the physician directly instead of by the insurance company. Medical malpractice can devastate entire families, and should not be ignored or allowed to go unanswered. The attorneys at Miami’s Pita Weber Del Prado understand the pain, suffering, and frustration you have experienced, and will fight to hold the doctor or hospital accountable. Contact us for a free consultation.